A handsome handmade rosary dedicated to Saint Joseph, carpenter by trade and foster father to Jesus Christ. This would make a great men’s rosary! 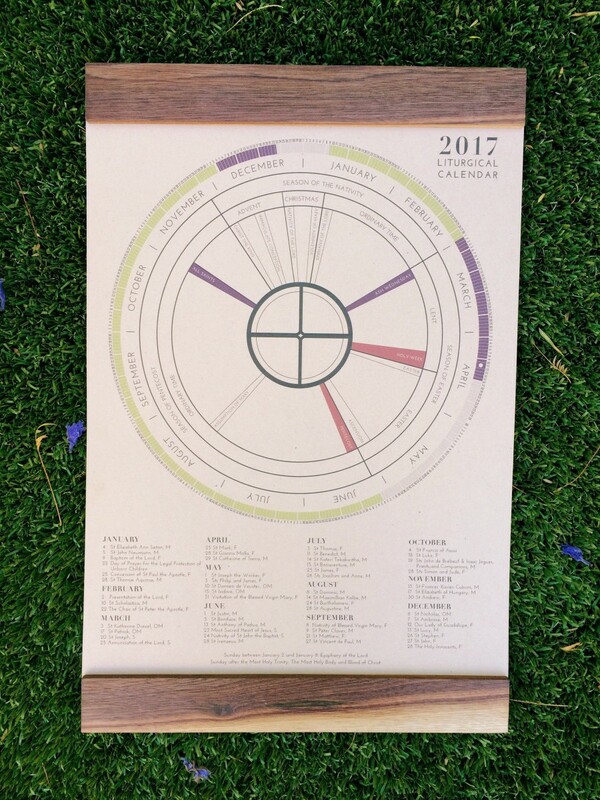 Enjoy reading with this bookmark, featuring artwork by Brooke Strauss of Visual Litany. The back of the bookmark features the saints name, feast day, patronage, and a prayer. 6mm blood-red fire-polished Czech glass beads. Ceylon Snowflake seed beads. Flared edge crucifix. Divine Mercy center. Super nice! Five decade rosary bracelets, each one unique and handmade in Webster, NH. 8mm howlite “turquoise” matched with red jasper nuggets. Classic Southwestern design. A glass bead with gold crucifix imprinted on it begins the rosary. An incredible replica of the ring Joan of Arc’s parents gave to her on her First Communion. Too cool! You probably don’t know any eighth-graders sporting a beard, but Easter approaching means RCIA. 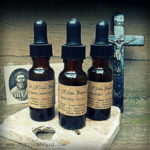 Sample bottles (1/2 oz) of three frankincense-based beard oil scents: EXSULTET, SANCTUS, and SUNDAY MORNING. Genius. Each of these bracelets are custom made and hand stamped onto aluminum, which is then brushed to soften the edges and increase its resistance to scratches. If it was October, I’d still want this. It’s just that awesome. Seriously, you should be ordering one of these for everyone you know. This thing is comfortable and has the most awesome sacred heart image ever to appear on clothing. Photos just don’t do it justice. I’m partial, but I also wear mine all the time. A Rock Climber with his belay going straight to the clouds is being led by the Holy Spirit.